Support for teacher training, visiting artists, digital electronics equipment and much-needed classroom supplies for elementary teachers in the School District of La Crosse are among 19 grants totaling $28,421 announced today by the La Crosse Public Education Foundation (LPEF). 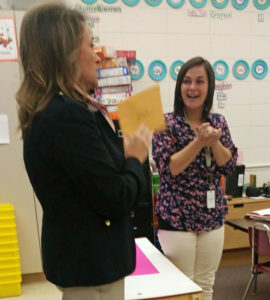 Teresa Fox, a State Road Elementary teacher, reacts with joy as she learns of her classroom grant from Angela Strangman, left, a member of the LPEF Board. 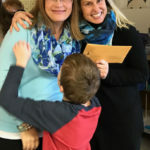 Among the grants: major start-up funding for outdoor classroom space at Spence Elementary School; a project to help students at two elementary schools transform discarded objects into art; and a special training program for 60 or more teachers to learn techniques to help students who have been affected by traumatic childhood experiences. The 19 grants were chosen from among 33 applications totaling more than $66,000. Grants are selected for funding based on creativity, ability to engage students, and the total impact or reach of the project. Grant recipients, along with recipients of 23 grants announced in April, will be honored along with school and community leaders on Jan. 16, 2017 at LPEF’s annual Grants Award Luncheon, presented by Festival Foods. Students in Spence 2nd and 3rd grade classrooms gather to hear the news of the LPEF grant for $4,400 to support an Outdoor Classroom. At the back (from left) are Teacher Alyssa Gray, LPEF Board President Tammy Larson, Teacher Jennifer Woolley and Teacher Becky Veenstra. $4,400 to provide major start-up funding to develop an outdoor classroom and garden space at Spence Elementary. The goal is to create a calming and peaceful outdoor education space for curriculum-connected lessons, while instilling a love and curiosity of nature in Spence students. Funds will cover installation of a crushed limestone pathway, providing equal access to students and individuals with disabilities, plus custom-built round tables for class activities. Recipients: Principal Shelley Shirel and staff. This grant is underwritten by support from Trust Point, and from the Duane and Carol Taebel Fund at the La Crosse Community Foundation. $3,050 to provide training for 60 or more teachers in techniques to identify key indicators (physiological, developmental, behavioral, and academic) of traumatic stress in children. With the help of a nationally recognized expert in working with students affected by trauma, mental health issues and behavioral challenges, teachers will learn ways to create positive relationships with children impacted by adverse childhood experiences. 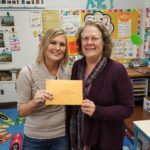 Recipient: Tracy Taylor-Johnson of Summit Elementary. This grant is underwritten by Festival Foods. 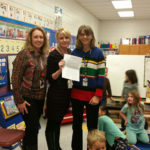 $2,600 to support purchase of a projector to be used in daily instruction to meet the special needs of Summit Elementary students with vision impairments and sensory needs. Recipient: Kasey Pomeroy. 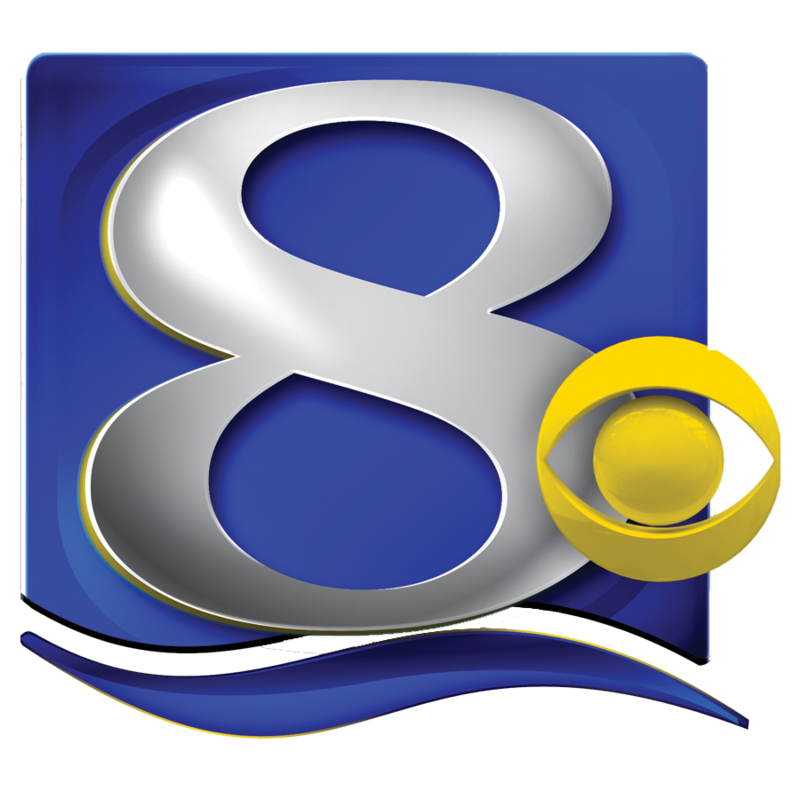 This grant is underwritten in part by Mayo Clinic Health System Franciscan Healthcare. $2,500 to provide training for 10 elementary teachers who in turn will teach parents of pre-schoolers how to better respond to children’s behaviors, including self-regulation skills, how electronics impact child development, discipline and parenting styles, and overcoming barriers and changes. Training will be provided through Gundersen Health System’s course on Parents Raising Resilient Children, taught by Jeff Reiland. Recipients: Michelle L. Powell and Jocelyn Buxton of Spence Elementary. 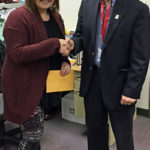 This grant is underwritten in part by the Richard Swantz Endowment Fund, created by and in honor of the former school superintendent to support staff development. $2,050 to support a collaborative project between Summit Environmental and North Woods International elementary schools, which share a commitment to exposing students to global and environmental issues. Students will work with a visiting artist, staff members, family and community representatives to understand the impact of trash on our environment, and how to transform discarded objects into art. 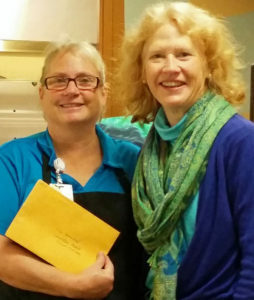 Recipients: Carissa Brudos at Summit and Maria Mason at North Woods. This grant is underwritten in part by Gundersen Health System. 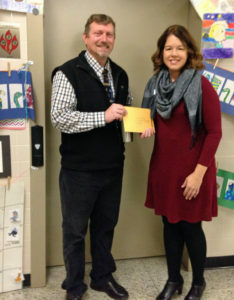 LPEF Grants Committee Chair Cari Mathwig Ramseier delivers a $2,000 grant to Steve Michaels, the District’s fine arts coordinator. The grant will support a visit from a rap and hip-hop artist who will help elementary students create their own hip hop compositions. $2,000 to support costs of a visiting hip-hop music artist to work with elementary students. In conjunction with the Boys & Girls Clubs of La Crosse, and the Mid West Music Fest, elementary students will work with visiting hip-hop music artist Toki Wright to create original rap and hip-hop compositions to be performed at the music festival. Wright has done similar residencies throughout the United States, guiding younger students to develop improvisation skills. Wright will work with high school students through the Boys & Girls Clubs. Recipient: Steve Michaels, District Fine Arts Supervisor. This grant is underwritten in part by the McGavock Family Endowment for Music Education. $1,922 to purchase 225 copies of the book “All American Boys,” by Jason Reynolds and Brendan Kiely, for use in sophomore English classes at Logan High. The contemporary young adult novel, addressing issues of race in today’s society, will be used as a complementary reading to the classic novel “To Kill a Mockingbird.” One of the authors, Jason Reynolds, will visit Logan in March. 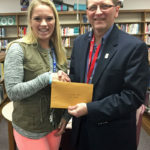 Recipient: Whitney Redman. This grant is underwritten in part by Coulee Bank. $1,800 in tuition scholarships, or $600 each, for up to three School District of La Crosse employees returning to school to complete education degrees at UW-La Crosse. The innovative, collaborative program seeks to increase the number of teachers of color by focusing on teaching assistants and other employees of color already in schools. This is the second year of the program. Recipient: Bethany Brent, UW-La Crosse. This grant is underwritten in part by LHI. $1,750 to purchase materials to be used by Logan High students to design and fabricate a robotic “Exo Arm” to be used in metal grinding operations. The arm will mimic the function of the human arm in order to minimize repetitive work injuries. Students will work with community business partners in design and development. Recipient: Steve Johnston. This grant is underwritten in part by LPEF’s Judy and Randy Eddy Sr. Fund. 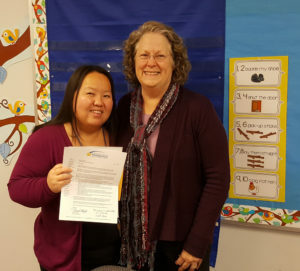 Summit Teacher Mary Her Zong (left) receives her grant from LPEF Board Member Margaret Dihlmann-Malzer. $1,728 to help Hmong students and other English Language Learners improve vocabulary, grammar and fluency through use of Reader’s Theater scripts and props. The scripts make reading fun by allowing students to play a character, with content based on math, social studies and science skills. Recipient: Mary Her Zong, Summit Elementary. This grant is underwritten in part by Wells Fargo. 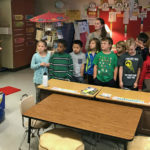 $1,000 to support expenses for an artist-in-residence visit by Cassie Stephens, an art educator who is nationally recognized for efforts to integrate art-related activities and content into the everyday classroom. Part of her visit will include in-service activities with SOTA I teachers, and part will involve working with students. Recipients: Hamilton/SOTA I Principal Steve Michaels and art teacher Bethany Nugent. This grant is underwritten by Rachel Gundersen. 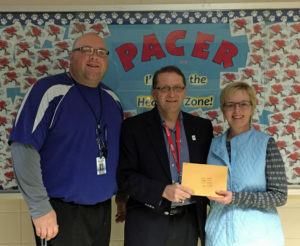 Logan Middle School teachers Chester Janke (left) and Lorrae Swartz (right) accept their grant from Brad Quarberg, a member of the Board of Education who serves on the LPEF Board. $754 to purchase exercise balls, drumsticks and storage to help Logan Middle School students improve fitness and health, and inspire them to find joy in movement, so they will want to do it for a lifetime. The creative activity combines drumming to music with sticks on a yoga or exercise ball. The percussion, combined with aerobic movement and dance, enhances the whole body. Recipients: Lorrae Swartz, Chester Janke, and Jessica Pfenning. 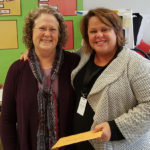 This grant is awarded in honor of Karen Wilke, who retired from the School District last June after 27 years of teaching at Longfellow Middle School. 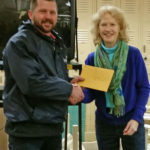 $600 for GROW La Crosse to purchase supplies to use in developing a school garden at Spence, including recipe demonstrations and garden-themed lessons, such as seed starting and pollination. Recipient: Katie Berkedal for GROW La Crosse. $534 to purchase multiple sets of Breakout EDU kits, which challenge students to work through content-based problems in order to open a series of locks. Recipient: Cassandra Sturzl, Logan Middle School. This grant is underwritten by State Bank Financial. 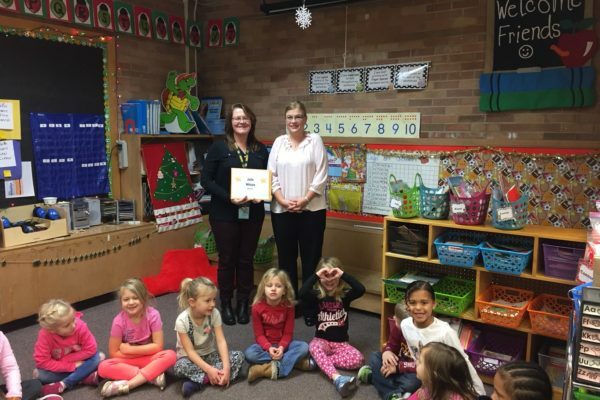 $525 to purchase a variety of tools and supplies for use in three kindergarten classrooms at Hintgen Elementary, helping students explore science, technology, engineering and mathematical skills. Recipients: Shanon Bills, Christine Rox, and Karen Landstrom. This grant is underwritten by Altra Federal Credit Union. $365 to purchase a space heater for use by Central High students in the Construction Career Academy working with the city of La Crosse on building a new home. Recipient: Nick Kalina. Lisa Hammond, a cook at Longfellow Middle School, accepts her Garden Club grant from LPEF Board member Julie Nelson. 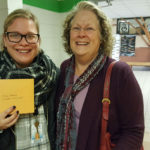 $335 to buy supplies for use by a Longfellow Middle School cook to start an informal Garden Club to help students learn about starting, planting and harvesting vegetables. Recipient: Lisa Hammond. This grant is awarded in honor of Robin Wilson, who retired from the School District last June after 27 years, most recently as an administrative assistant at Longfellow Middle School. $308 to purchase a set of books by author Julia Cook, focusing on developing a variety of social skills and helping Spence Elementary School children better understand how their actions impact themselves and others. Recipient: Jocelyn Buxton. 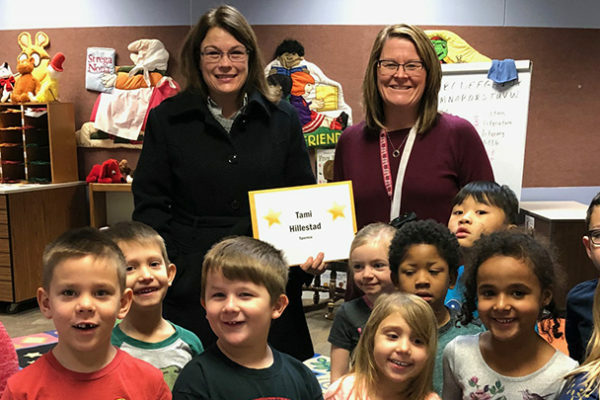 $200 to buy materials for a State Road Elementary kindergarten classroom to provide students with hands-on learning experiences, particularly to enhance the students’ sense of numbers and the ability to use them on a daily basis. Recipient: Teresa Fox. 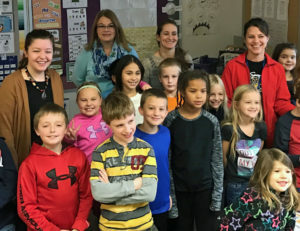 In addition to about $60,000 in annual grants to classrooms, LPEF provides other support for La Crosse public schools, including about $70,000 for the AVID college-readiness program and nearly $22,000 for Random Acts of Kindness to meet needs of students in areas such as nutrition, hygiene, clothing, and transportation. The La Crosse Public Education Foundation’s mission is to enhance learning opportunities for students in the School District of La Crosse and to promote community understanding and support for public education. For details or tickets to attend the Grants Award Luncheon, to be held Monday, Jan. 16, 2017, in the Cargill Room at The Waterfront, contact the LPEF office at 787-0226, or email David Stoeffler at: david@lacrosseeducationfoundation.org. LPEF Board President Tammy Larson delivers the news of the $4,400 grant for Spence’s Outdoor Classroom. 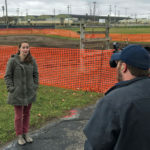 Spence Teacher Jennifer Woolley does an interview with WKBT’s Greg White, with the new garden space in the background. LPEF Board Member Margaret Dihlmann-Malzer with Tracy Taylor-Johnson of Summit Elementary. Teacher Kasey Pomeroy at Summit with LPEF Board Member Margaret Dihlmann-Malzer. Teacher Jocelyn Buxton of Spence with LPEF Board President Tammy Larson. 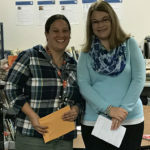 Jocelyn received two grants – one to help purchase books to help students learn social skills; the other shared with Michelle L. Powell (not pictured). Teacher Carissa Brudos of Summit with Margaret Dihlmann-Malzer of the LPEF Board. Carissa is working with Maria Mason at North Woods. Teacher Maria Mason of North Woods with LPEF’s Margaret Dihlmann-Malzer. Maria is working with Carissa Brudos of Summit on her grant. Teacher Whitney Redman of Logan High, congratulated by School Board Member Brad Quarberg, who also serves on the LPEF Board. 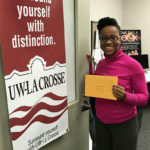 UW-L’s Bethany Brent received a grant for a second year supporting efforts to increase diversity in the teaching staff of the School District of La Crosse. 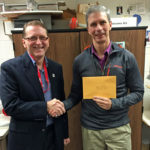 Brad Quarberg presents a grant to Logan High’s Steve Johnston for the Logan “Exo Arm” project. 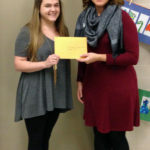 Hamilton/SOTA I Art Teacher Bethany Nugent receives a $1,000 grant from LPEF Grants Committee Chair Cari Mathwig Ramseier. 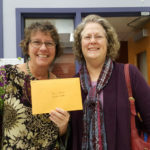 LPEF’s Tammy Larson shares a fun moment delivering a grant to Anne Seehafer, executive director of GROW La Crosse. Logan Middle Teacher Cassandra Sturzl accepts her grant from Brad Quarberg. Hintgen teachers Christine Rox, Shanon Bills and Karen Landstrom share a grant to purchase classroom materials to encourage STEM skills. Nick Kalina of Central High School receives a grant from LPEF Board Member Julie Nelson.